Bonus recipe this week! Hop on over to my friends Britney and Cherie's site to see my guest post today. 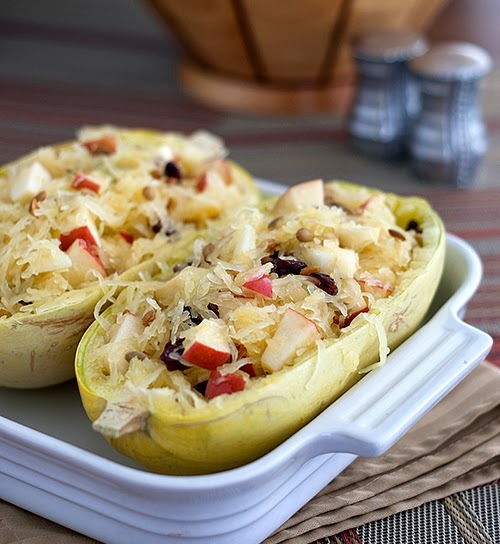 It's spaghetti squash tossed with a mustard dressing and apples, cranberries and roasted pumpkin seeds. It's crazy good and screams autumn. Can you tell I'm ready for the cooler weather? oh yum. I shared this one with my fb recipe sharing page. Always looking for new ways to eat spaghetti squash!